Parallel lines is such a fun unit to teach! I don’t know why I like that unit in Geometry so much, but I do. 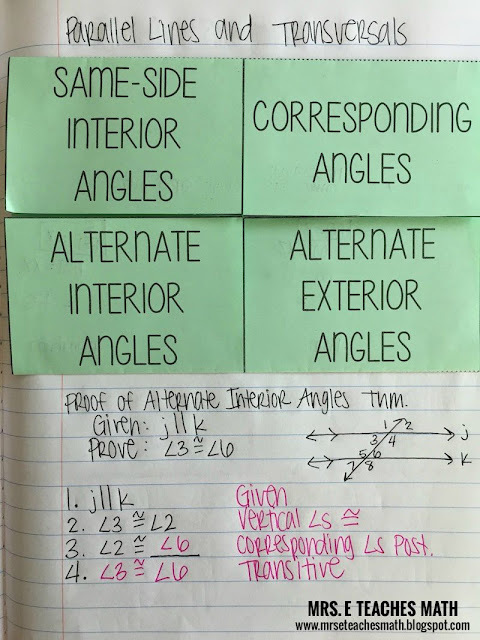 Anyway, I have an interactive notebook page idea for you! 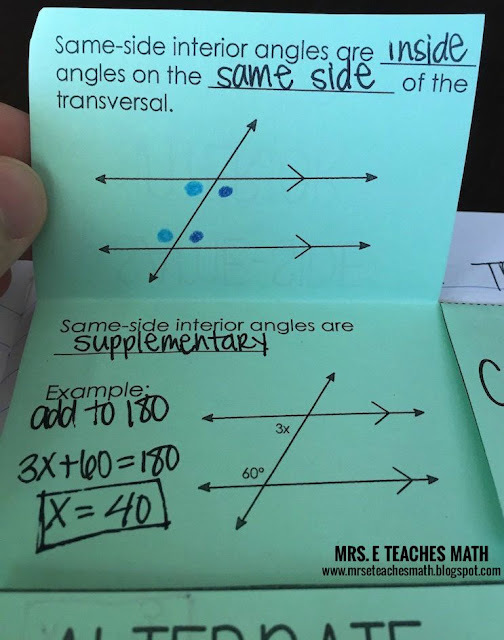 First, I would use my Parallel Lines with Transversals Foldable from my TpT store. 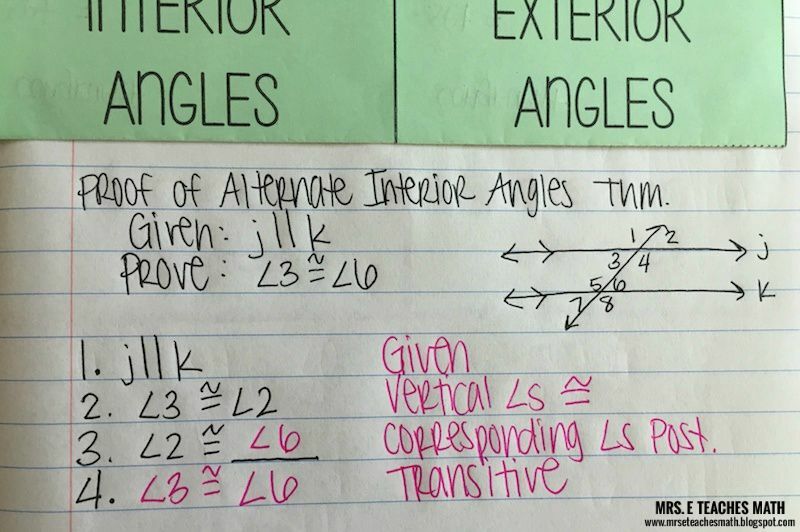 There are flaps for each of the types of angles in parallel lines. Each flap has a definition, diagram, theorem, and practice problem. 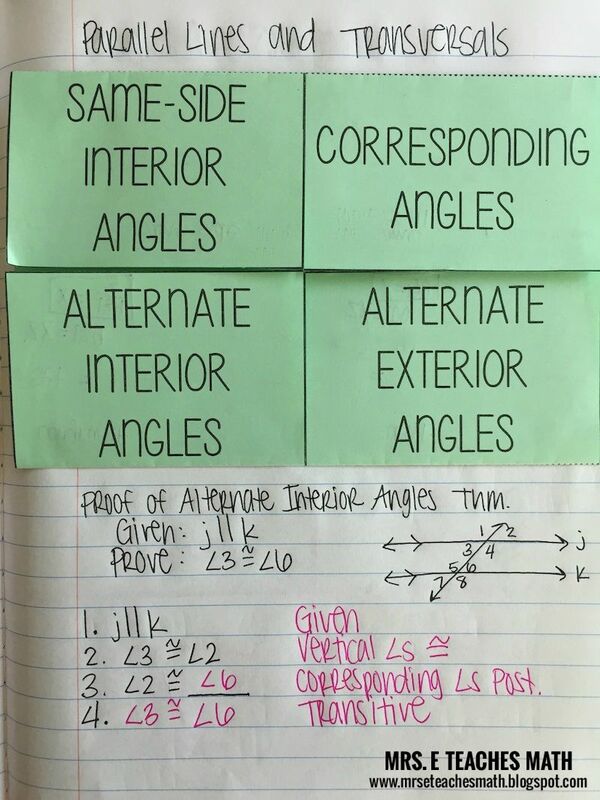 I like to have the students color-code the location of the types of angles. I wrote a blog post last school year about using color with purpose, and this is an example of when I do that. I like that this foldable is small enough that something else can be included at the bottom of the page. It is important to me to include simple proofs of theorems. 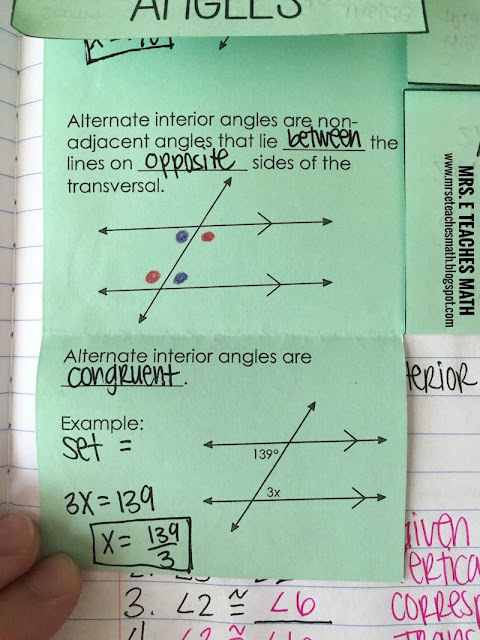 So, at the bottom of this page, I chose to include the proof of the Alternate Interior Angles Theorem. Whenever I do fill in the blank style proofs with my students, I always write everything I would give them in black. Then, I write everything I would expect them to be able to do in another color. Again, using color with purpose. This page includes A LOT of information all in one place! It could be overwhelming for students to do it all in one day, so it might be best for your students to take more than one class period to complete this page. 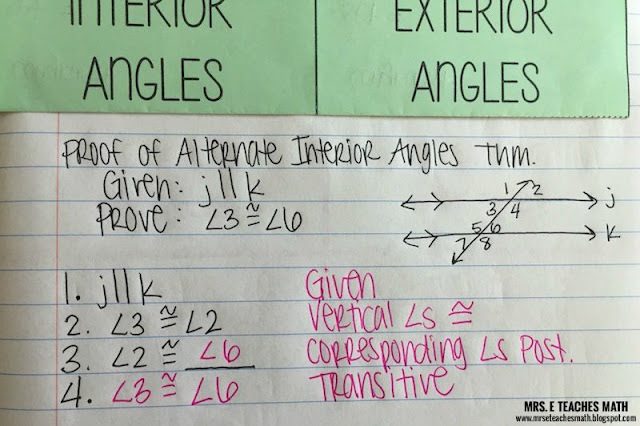 I hope this gives you some ideas for your own parallel lines with transversals page!